3D printing has revived the demand for an ancient niche product, namely powdered metal. These extraordinary and expensive materials such as nickel, titanium, cobalt but also graphene, require special packaging. CurTec supplies plastic screw top drums to various manufacturers of metal powders. 3D printing is booming! In the 30 years between its discovery and the current hype, 3D printing has rapidly gained importance. Today, almost everything you can think of can be made with a 3D printer, whether it’s for private or industrial use. When the first patent applications for 3D printing were filed in the early 1980s, it was still known as stereo lithography and the technique was mainly used for rapid prototyping. Since then, there has been a sharp rise in the number of uses for 3D printing, also known as additive manufacturing. These range from industrial prototypes to human implants and from construction components to jewellery. This development also led to users no longer being limited to using thermoplastics as the raw material for their creations. There are now seven important printing technologies and, in addition to plastics, combinations of wax, sand, ceramic, glass, biomaterials, carbon and metals and precious metals can also be used for printing. In 2015, the market for additive manufacturing exceeded $1 billion for the second year in succession*. Industrial applications appear to have a bigger share than consumer applications. The sale of industrial grade AM systems has increased sharply over recent years and this has affected the demand for raw materials. 3D printing has revived the demand for an ancient niche product, namely powdered metal. Three-dimensional printers use metal powders for a wide range of products. These range from medical implants made from titanium to rocket components out of nickel alloy which are used in Elon Musk’s spacecraft product Space X. 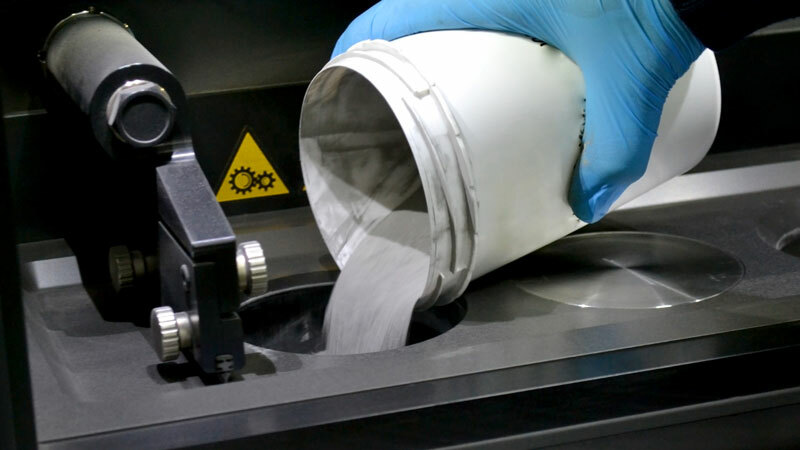 The metal powders used for 3D printing are characterised by an exceptionally high specific weight and an almost liquid texture. Combined with an exceptional high value, which can vary between 5,000 and 100,000 Euro per kilo, they turn packaging into a crucial link between production and consumption which deserves attention. CurTec supplies Wide Neck Drums to various manufacturers of metal powders such as nickel, titanium, cobalt but also graphene. 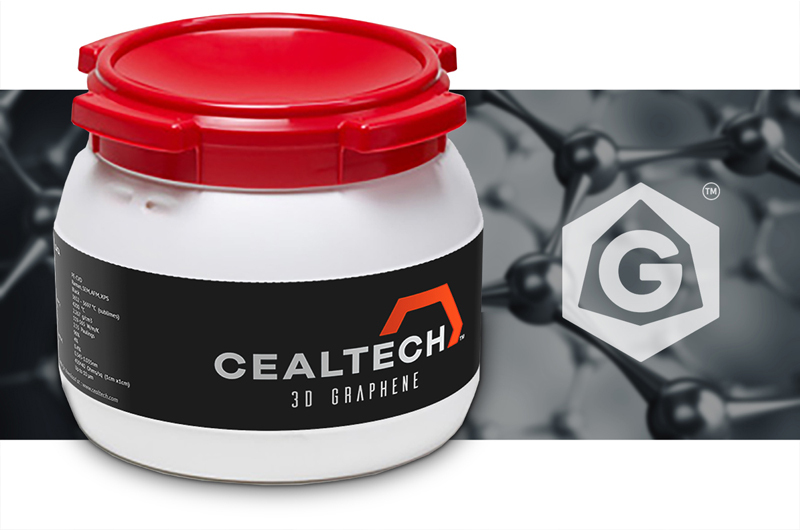 Currently, graphene is mainly used in the electronics industry due to its strength and conductivity. The material has a very low specific weight and is almost liquid which makes it suitable as a semi-conductor. These extraordinary and expensive materials require special packaging. A pack should have a premium, airtight closure, as losing content not only has huge financial consequences, but also affects people and the environment. It also has to be clean to avoid contamination of the contents and disruption of the printing process. Furthermore, the packaging should also have other protective functions, such as a UN certification, because some metal powders are classified as hazardous materials. On top of that, CurTec drums are also robust and able to resist shocks during international transport. Also the PR value of CurTec packaging often has a positive effect on a company’s image. If you have any questions about this article or would like further information on creating added value with High Performance packaging, please contact us.